On 15 August, the High Court handed down a dispiriting judgment in a Judicial Review (JR) challenging the lawfulness of the Government’s policy of “supplementary” badger culling and the licences issued under it by Natural England (NE). There were actually two JRs heard together. The first sought to quash guidance issued by the Secretary of State in 2017 on the licensing of supplementary badger culling, arguing that the consultation was unlawful and, in the absence of credible evidence that such culling would be effective, contrary to the Protection of Badgers Act 1992. The second argued that standard and supplemental badger culling licences granted in 2017 were in breach of the assessment requirements of the Conservation of Habitats and Species Regulations 2010. Both cases were rejected by the High Court. Although the consultation document was “unimpressive”, the judge did not consider that it met the high threshold of being so “clearly and radically wrong as to render it procedurally unfair and thus unlawful”. In relation to a potential breach of the Protection of Badgers Act, the judge held that, although there was a scarcity of evidence about supplementary culling, the fact that two senior Government experts were in support of the policy - coupled with the Secretary of State’s commitment to change tack if further evidence became available - meant that the policy could not be said to be irrational in a legal sense. However, the judge held that NE had breached its duty under the Habitats Regulations by failing to consider the possibility of indirect effects arising from fox predation on protected areas close to areas earmarked for badger culls. Despite this, he declined to quash the licences on the basis of NE’s argument that relief should be refused “if it appears to be highly likely that the outcome for the applicant would not have been substantially different if the conduct complained of had not occurred”. In the absence of any evidence from the claimant, the judge took NE’s word for it. This case raises a number of troubling issues about JR and the extent to which it currently provides an adequate review mechanism for environmental cases. 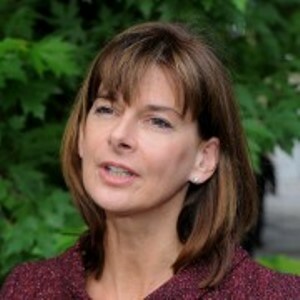 Firstly, the conclusion that a Government consultation document can contain misleading statements based on opinion as opposed to evidence on an issue of such high public interest - and yet fail to reach the threshold of unlawfulness - does little to instil public confidence in democratic decision-making or the judicial system. Secondly, Wildlife and Countryside Link (Link) vigorously lobbied against provisions in the Criminal Justice and Courts Bill to introduce the “substantially different outcome” test referred to above (see here). It is precisely this scenario, in which there has been a breach of a legal duty but the defendant public body is not held accountable for it, which concerns Link. Thirdly, the discussion around the potential breach of the Protection of Badgers Act and irrationality spotlights a central weakness of JR. In concluding the policy was not irrational, the judge essentially balanced a scarcity of evidence about supplementary culling on the one hand against the opinion of two senior Government officials on the other and, without any attempt to wrestle with the issues, plumped for the latter. This is common practice in JR - providing there is some information on an environmental impact, the court generally won’t entertain a challenge on the question of whether the information was capable of leading to a sound conclusion on the point, unless it can be shown that the decision maker acted irrationally (for which there is a very high threshold). Some Link members are concerned that the intensity of review in JR falls short of that required by the Aarhus Convention and have submitted a complaint to the Convention’s Compliance Committee (see here). The complaint argues that the intensity of review applied by the courts should be higher where - as here - the issues in play are controversial, novel and have high environmental impact, consultees with proven expertise have submitted cogent evidence to rebut the proposal and the public body has undertaken its own assessment of the evidence. Link raised this issue in its recent response to Defra’s consultation on Environmental Principles and Governance post-Brexit (see here), highlighting the significant governance gap arising from the loss of the European Court (in which a more intense level of scrutiny is applied). One of the solutions we suggested is that an Environmental Court may provide a better forum for environmental cases, in which judges are supported in examining the scientific issues by technical experts. Carol Day, Legal Consultant for RSPB.